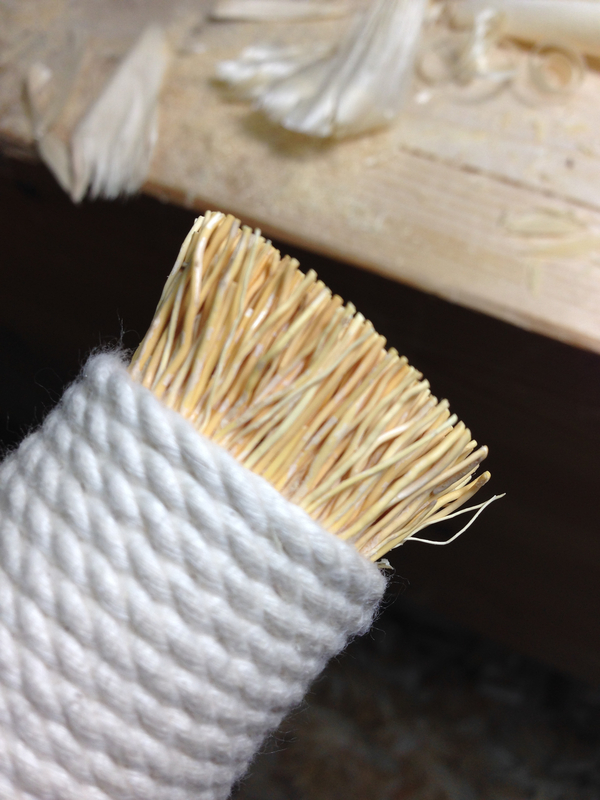 I’m taking the opportunity to practice using the uzukuri while building my Japanese style toolbox. Well “practice” may be a little misleading. I don’t really have a clue how these tools are supposed to be used beyond “rub them on the wood”. I first wrote about the uzukuri here in case you need a little background. Each of the toolbox parts provides me with a blank canvas for experimentation. I’m basically starting blind. I have no information on the use of the uzukuri other than rub it on the wood and to do it with the grain. So this will be a steep learning curve. I began with the short end pieces of the toolbox. I first planed the surface just as I would with any work piece. Then I marked the eventual location of the handles so as to avoid working in those areas for fear of causing glue-up issues when installing the handles. Then I began with the “rough” uzukuri. I quickly discovered that it is best to start with almost no pressure. 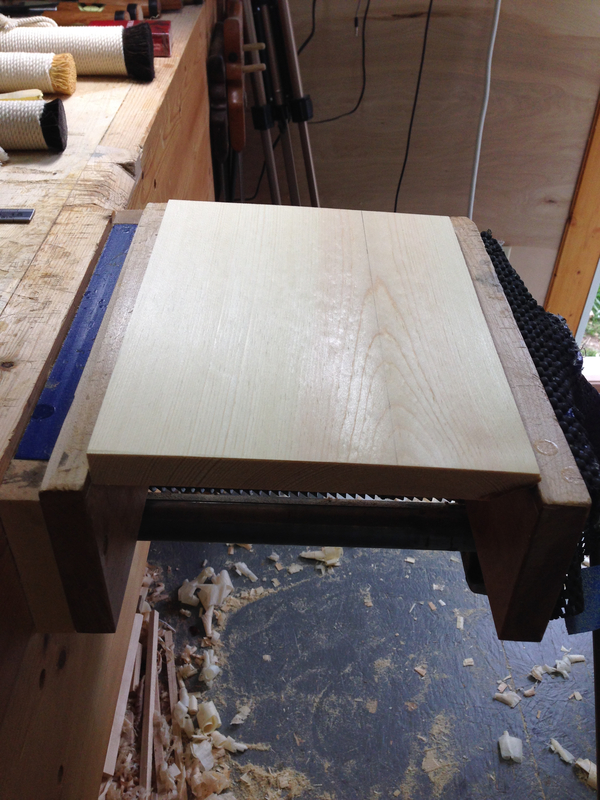 Just lightly move the tool the length of the board with the grain. The uzukuri quickly begins to reveal the grain structure of the wood. As the grain begins to surface the uzukuri starts to ride the grain like a train on a track. As this happens you can begin to add more pressure. The trick is to not cross the grain at this point. Scratch type indentations will be the result if you do and they are tough to remove. Trust me on this! By the time I was satisfied with the depth of the texture, I was actually using quite a bit of pressure. Here is the result of the “rough” uzukuri. Next up was the “medium” uzukuri. This one is made from some sort of roots. Its also noticeably finer than the “rough” version. Same idea as before but much more forgiving if you jump the track and run across the grain. It’s difficult to photograph the surface and do it any kind of justice. The difference between the “rough” and “medium” looks very slight in the photos but is quite a bit more dramatic in person. The result of the “medium” uzukuri. Finally I began working with the “fine” uzukuri. This one is made from horse hair and has the same feel as a tightly packed shoe shine brush. 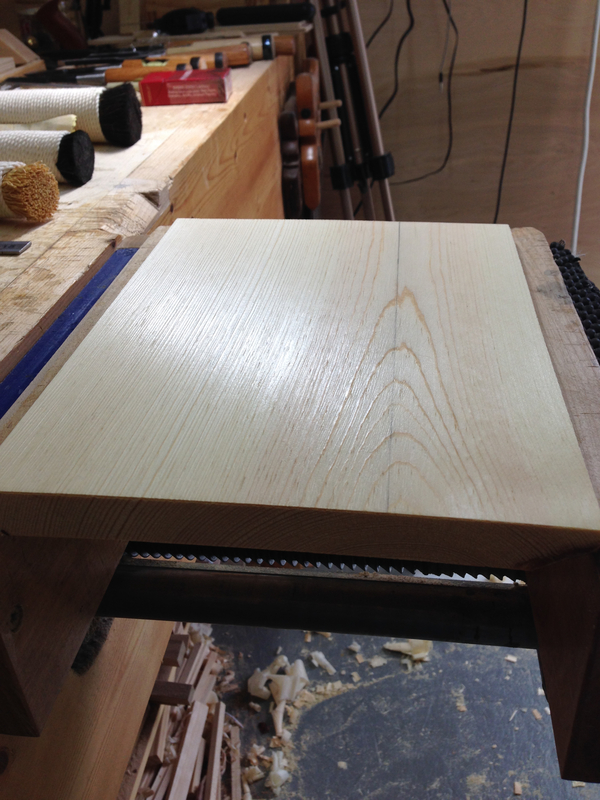 I continued working with the grain and using a good bit of pressure. Working over the entire area until I had an even luster. Remember that this surface is a direct result of the tools only. No wax or oil has been added. The result of the “fine” uzukuri. It’s a start, and I learned a little about how to use these tools. I’ll add another post as I tackle the other parts and share any further insights that I may discover. I can’t stress how much I like the resulting surface. Burnished and very pleasing to the touch. 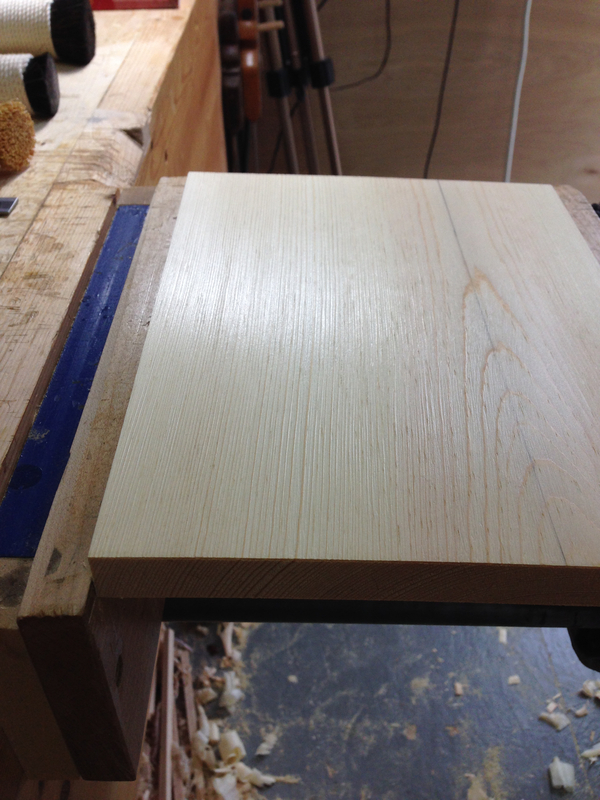 This entry was posted in 5-Tools, Finishing and tagged finishing, uzukuri. Bookmark the permalink. I love the finish you are achieving. To me, it is reminiscent of very old, untreated wood, where the grain has raised itself naturally over time with internal shrinkage, but without the normal colour change due to darkening and dirt. I suspect that you will need some other finish over it though, to keep the clean look. Just a white paste wax? Thanks! Finishing will be part of the experiment/practice. 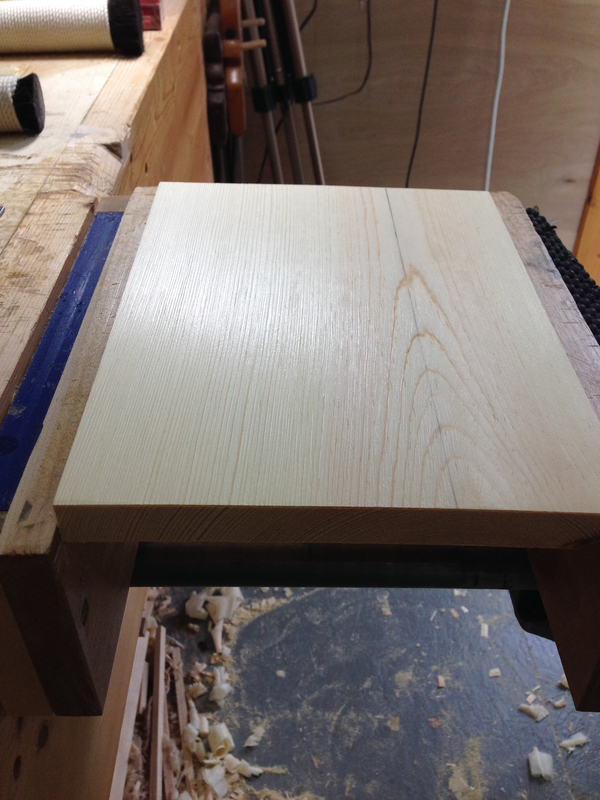 I’ll start with a couple of coats of BLO to see how the burnished wood reacts to the oil. Then a couple of coats of Tried and True Original. The T&T is my usual finish and contains beeswax. I may do up a separate piece and give it the same as above with the addition of paste wax. I’ll definitely have to do some experimenting of my own with this. 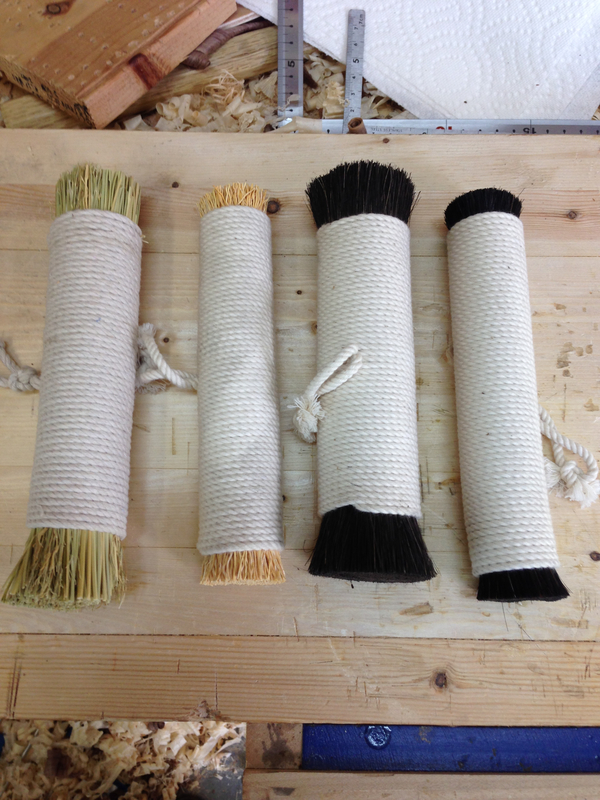 I’m guessing that the rough one is a lot like Don Williams’ pollissoir, and you said the fine one is horsehair. What is the medium one like? The rough version is a little more coarse than the untreated polissoir. The medium is tough to compare to anything. The best I can come up with is that it feels a lot like a stiff bristled toothbrush. Thanks Greg I was hoping you you would do some further posts on them It looks like a very interesting finish. Knowing what you know now does the purchase of the three Uzukuti look like a good investment or do you think you could have made home made ones? That’s a really good question David. The short answer is, yes. I’ll go in-depth as to why in the next post. Looks great, Greg. I’d love to write about this in one of my magazines. We recently did a piece about a Japanese shaving horse that folds, and I’d love to explore more stories from that part of the world. Thanks Nick! You might be breaking new ground with that article. There is very little information in english available on these tools. How did you find out about them, Greg? Luck and perseverance. While doing research on the polissoir I stumbled upon a photo or two of a Japanese craftsman using the same type tool. Then I began a lengthy Google search session trying to discover the proper name on the Japanese tool. Eventually I found that it was called a “uzukuri”. With that information I was able to even more Google searching. 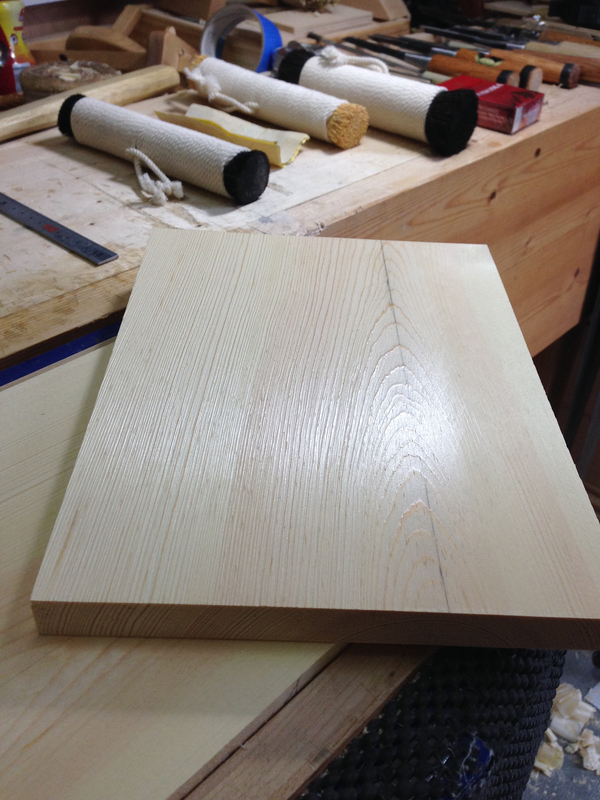 As luck would have it, Japan Woodworker here in the states began selling them recently. Good stuff. Sounds interesting. I’ll follow your posts. If there is anything I can help with, just let me know. I’d like to feature this in Living Woods magazine. As you might have read in my blog, I had a cycle injury last year and am now trying to get the magazine going again after 10 months off. I am trying to give it a more international flavour, but we have very little money to pay contributors etc, so I can’t promise much. I was wondering if we could use some of your photos, if they are hi-res? Thanks. Wow! Have I got this right? You achieved this finish by rubbing with the bristle looking tool and that alone? No product?